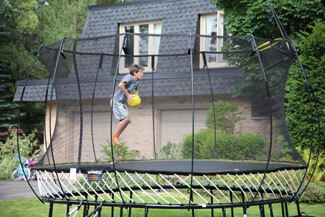 Think back to your favorite childhood moments. Chances are you played in a world of imagination. A world where kids don't just swing...they rocket deep into outer space. Where they don't just slide... they plunge down a jungle waterfall. Where they don't just climb... they scale tall, snow-capped mountains. Get ready to relive the exhilarating fun your own children will have with their very own Castle or Clubhouse from Rainbow Play Systems — a place where imaginations soar! 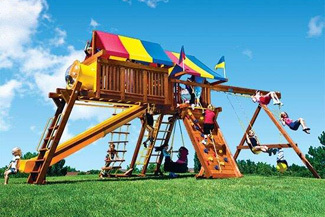 The designers at Rainbow Play Systems make sure the fun and flight of imagination is firmly grounded with quality construction and safety, giving you a play system you can trust and your kids can enjoy for years. 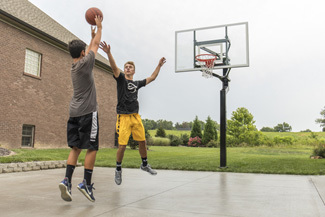 It's not just our 30+ years of experience, our lifetime warranty, our solid wood craftsmanship, our professional installation, our dedication to American manufacturing, or our trusted tradition of quality and safety that makes us the preferred play system choice. It's the fact that you'll find ALL of these promises under one Rainbow. "We absolutely LOVE our Rainbow!" is something we hear time and time again. We hope to hear that from you, too!